Question: Is the observed high academic achievement of homeschoolers due to the method of education or just due to homeschooler demographics? [H]igh-achieving students who are homeschooled might very well still reap the benefits of their socioeconomic advantages if they were enrolled in a public school. It follows that the children of parents who homeschool could fare at least as well in public school as they do in the private realm of the home. But the data contradicts this assertion that demographics determine academic outcomes for homeschoolers. Statistically, minority students and those from lower-income families have lower than average academic achievement. Therefore, homeschools should have lower academic achievement levels than virtual charter schools, all things being equal. 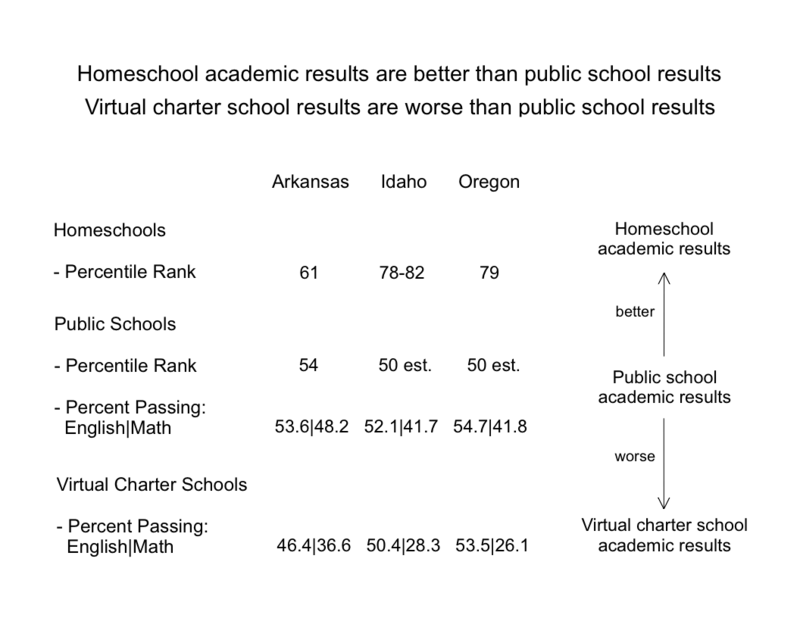 However, homeschooled students and virtual charter school students have dramatically different academic outcomes: Homeschoolers have higher academic achievement than public school students, as measured by achievement tests. And virtual charter school students have lower achievement than public school students. These higher homeschool test scores defy the known demographic factors of race/ethnicity and income. No “demographics-only” theory of homeschool achievement would predict the pattern we see in the chart. taking the final responsibility to make sure the child succeeds academically. Parents who put their children in public school send them away for 6 to 7 hours per day. During that time the parent is not available to give the child individualized, tutorial instruction. The parents also cede responsibility for, and control of, the education to the school. They can only give supplementary instruction — or do damage control as the case may be. Committed parents are the deciding factor in homeschool success. There is no substitute. 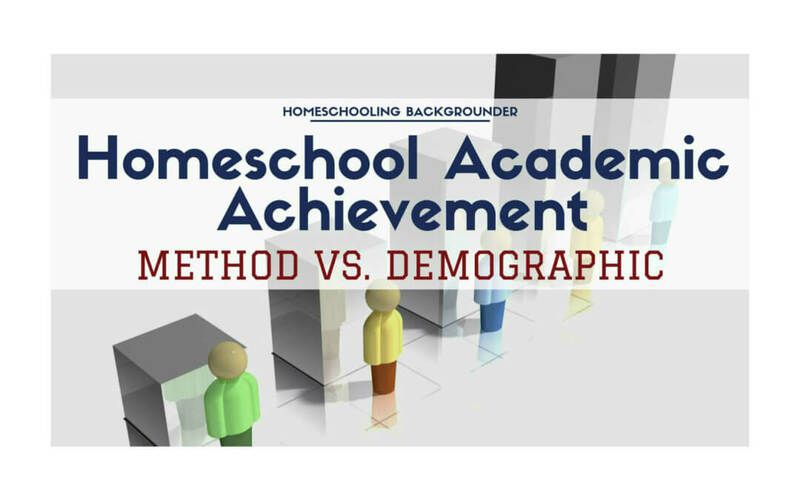 There is credible evidence that homeschool academic success has contributing factors beyond just demographics. Homeschool-related factors, such as parent commitment, are likely associated with a large part of the academic boost among homeschooled students. The claim that homeschooled students could do just as well in public school because of “their socioeconomic advantages” disregards what would happen to parent commitment and its out-workings if their children were in the public school.